In any event, cannabis oil is the current rage. Sure, the San Francisco Weekly may have said in a recent article, “[i]f marijuana were discovered in the Amazon today, it’d be front-page news worldwide, a miracle drug.” (The article was actually really good. Click here to read it.) But, in reality, cannabis oil is, or almost is, “front page news.” It’s everywhere. So, what is it? Cannabis oil is, in the simplest terms, distilled weed. An ounce of really good, highly concentrated cannabis oil can be extracted from a pound of marijuana. The object of the distillation process is to remove all plant matter so that the resulting oil is nothing more or less than the concentrated cannabinoids from the plant- the THC, CBD, and other cannabinoids that occur naturally in cannabis and which evidence suggests our body has evolved to process and which may have significant health benefits. (Our endocannabinoid system is both a fascinating and cutting edge story. But that topic is for a later blog post. If you’re interested, clicking here is a good place to start.) The distillation is done by using a solvent- naphtha, petroleum ether, butane, isopropyl alcohol, and others, depending on the intended result and the degree to which the extractor is interested in health issues. A good extraction of cannabis oil is powerful. The initial dose is the size of a grain of rice. A gram can make even experienced users dizzy and fully “high.” But the anecdotal evidence of its efficacy, particularly with respect to cancer, is overwhelming. The American Cancer Society states the following, right on its website: “[S]cientists reported that THC and other cannabinoids such as CBD slow growth and/or cause death in certain types of cancer cells growing in laboratory dishes. Some animal studies also suggest certain cannabinoids may slow growth and reduce spread of some forms of cancer.” Of course, about ⅔ of the 15 million websites you’ll encounter on a Google search of “cannabis oil” will tell you how to cure cancer with CBD oil, but this quote came directly from the American Cancer Society. That’s no small thing. 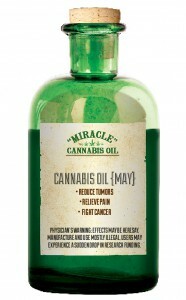 And all of those hippy, dippy websites about curing cancer with hemp oil- are they wrong? Truthfully, we don’t know. The US government, through its agent the DEA, severely limits clinical studies of cannabis. Most proposed studies are approved only if they are likely to show harmful effects of cannabis. Most evidence of CBD oil curing cancer is anecdotal. But, oncologists across the country are quietly beginning to recommend that patients try cannabis oil along with their routinely prescribed chemotherapy, radiation, and other traditional treatments. According to one well-known cannabis oil dispenser in California, of the 26 Stage 4 cancer patients that were referred to her by their oncologist, only one died- an off the charts success rate of 96%. Anecdotal or not, that figure is an eye-opener. Of course, there is well documented evidence of cannabis treating the nausea associated with chemotherapy treatments. I can personally attest to the benefits of ingesting marijuana during chemo. But a possible cure for cancer is an entirely different thing, one that we should immediately embrace and research. I dedicate this post to Gawain Mainwaring, a kind, brave, and inspirational man. May your journey be long and joyful. ← Shipping cannabis from one legal state to another legal state. Ok, right? My sister was once diagnosed of breast cancer. she did chemotherapy and radiation many times and it did not work but rather weaken her immune system and she was unable to move from one place to another. She was living in pain for 2 years until i contacted the National Cancer Institute through email [email protected] to purchase the cannabis oil. After using this cannabis oil medication for treatment for 40 days, there was great changes in her condition and she continue to use the cannabis oil for the time duration that was advised by the institute. And as i am writing this testimony she is not suffering from ovarian cancer again and she have been completely cured. Cancer patient out there, cannabis oil will do wonders in your life. That’s a wonderful story. As a cancer survivor myself, I can attest to the positive benefits of cannabis. I’m happy to hear that your sister is in remission. Thank you for sharing your story.